During the harsh winter of 1939-40 Dietrich Bonhoeffer, Eberhard Bethge, and eight candidates for ministry in the Confessing Church lived and studied together during the tenth and final session of Bonhoeffer’s seminary work. This was one of Bonhoeffer and the Confessing Church’s shining moments. There was no prestige to be gained, no careers to be made from the venture. War had begun, and the future did not hold promising outcomes for these men or their church. All that remained was perseverance born of fidelity, faithfulness, fellowship, theology, and visible witness. These are hallmarks of good incarnational education, not the last vestiges of a noble lost cause. Sigurdshof was the most isolated of Bonhoeffer’s seminary sites. Finkenwalde was a very small place, but at least it had a train stop. Gross-Schlonwitz was a village, but at least it had running water. Sigurdshof had neither. It was a house in the woods on a large estate owned by a seminary supporter. Though secluded the house was not secret, for Bethge notes that army induction officials knew where it was. Local officials at least waited until the term ended before shutting it down. 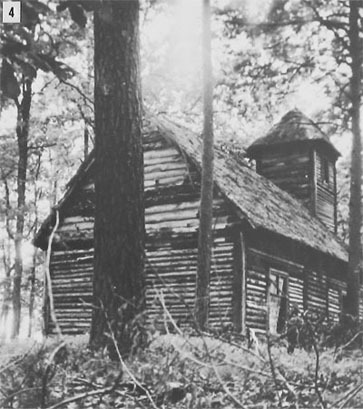 In this rural setting Bonhoeffer preached, led the students in studies of Psalm 119, wrote meditations on Christmas, Epiphany, and the Lord’s Supper, taught on marriage, wrote numerous letters, and continued life together practices with the students. Heavy snow kept him from traveling as much as he had during previous terms. His writing on Psalm 119 indicates a growing appreciation for creation and his dependence on and debt to it. Quiet suited him. Or at least it helped him grow deeper in permanent disciplines. This quiet life with colleagues and students was every bit as much a visible witness of the body of Christ as what he did in Berlin, Finkenwalde, and Flossenburg. The Sigurdshof session presented an opportunity for unusual fidelity to Christ’s call to discipleship. It gave close fellowship, no doubt too close at times. Moreover, it gave men preparing to serve under harsh conditions the time to examine Psalm 119, a text absolutely compatible with their needs. It gave all of them the chance to keep doing the right thing when this seemed hopeless, pointless. In short, it offered an opportunity for this small band of Confessing Church pastors and their housekeeper, Erna Struwe, to take up the cross and follow Christ, to engage in discipleship. In our “age of disincarnation” (Wendell Berry, Sabbaths 2013[Monterey, KY: Larkspur Press, 2015], 29), those of us involved in seminary education might do well to consider this usually overlooked segment Bonhoeffer’s life. When educational experts ignore or deny the inextricable link between formation and human interaction we might do well to reflect on Christmas, Epiphany, and the Lord’s Supper. When numbers and donations are small we might consider a cheaper rural option and be willing to carry water. Where churches are tiny but honorable, we might prepare pastors at a high level for the elect. Where tyranny grows and martyrdom awaits we might take courage from Psalm 119 and stalwart people. In short, we might put incarnational principles into practice. Sigurdshof grips my imagination because it was a real place inhabited by real people. What its inhabitants did there still testifies to seminary teachers and students of what is right and good and useful to do. It seemed small, and it was, though not too small for people whose minds were on Christ, who died among thieves and rose in the presence of stunned Roman soldiers.